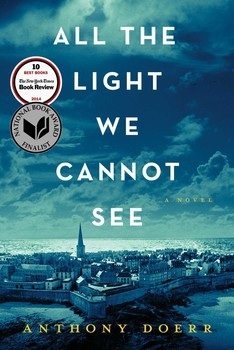 I finally finished All The Light We Cannot see thanks to my Audible Free Trial. Remember, if you haven't tried out audiobooks yet, give it a go! Sign up for the promotion and apply our Audible coupon. That will get you 4 free weeks plus a free book to see if you like it. I know you will! I thought this was one of the better books I have read in a really long time. The writer, Doerr, is masterful with his writing. Every sentence you just want to linger on, but you don't, because the story is so compelling it drives you to read on. Yes, the beginning was a bit slow, but a quarter of the way through, something changed, and I couldn't put the book down. Stay with it, it is worth it. I would compare this book with The Age of Innocence in the regard that it lulls you into these character's lives and through time, the time to read it, you feel as if you know them. That was excellent. I thought all characters were fantastic -- fantastic whether they were supposed to be evil, genuine, conflicted ... doesn't matter. They were all well flushed out. I thought the narration of the book was excellent. He had perfect control of his voice, the sound quality was superb, and it was well portrayed - no overacting. I would give this book 5/5 stars. 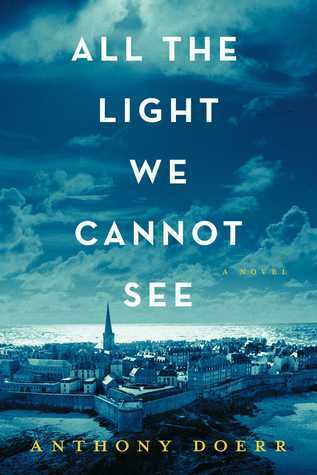 You can get All The Light We Cannot See for less with our Audible coupon. This is my current book thanks to my Audible Free Trial. I'm listening to the book because I just joined a book club; however, that was like 3 weeks ago! Shoot! I really need to get started! I picked this book because it was available in audio format. I should want to listen to it; I do want to listen to it! So why aren't I? I have no idea. It just seems every time I go to listen to it, something happens. What are the reasons you find that you don't listen or read your books? I mean, outside the normal things, like kids, a work call, or something of that nature. I think, for me, it's the fact the last book wasn't so good. It kind of sucked the wind out of my sails. It shouldn't impact this book, but it does. It took me out of my rhythm. For more information, please visit http://www.audible-free.livejournal.com. 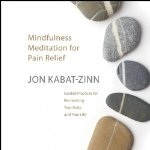 I have finally listened to the end of my other meditation book named Mindfulness Meditation for Pain Relief by Jon Kabat-Zinn. I was able to listen thanks to my participating in an Audible Free Trial. It opened my eyes to all the books that were available in audio format. I didn't love this meditation book either. He repeats the same philosophy over and over again. It's rather annoying. It's not like he is repeating it in order to get his point across. It's almost as if he just doesn't really have anything to say, so he just repeats it. The production is terrible. You can hear every lip-smack, every rustle of him in the chair. You can hear him sigh as well. I'm sorry, if you are too annoyed to do your own book, then just don't. Don't waste my time. The book is neither informative, nor a guided meditation. At some points in the audio, I feel like maybe we are going to do a meditation, but then we just don't. It is a horrible book, and a horrible waste of time. My advice? 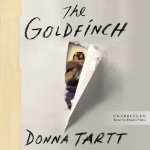 Try out another book with an Audible coupon. I think you will love the service as much as I do, just with perhaps a different book that with this one! To learn more about how awesome an audiobook is, just visit http://www.audible-free.livejournal.com. I decided to start a book club with my Chronic Pain support group. 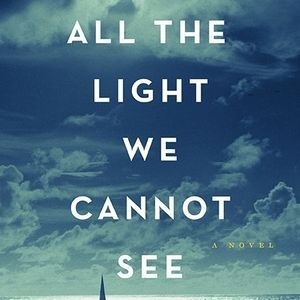 One of the members decided to pick the book All The Light We Cannot See. I read the synopsis of it and it looks good. So we decided to read this book first and then one of the other members have already picked our second book. I'm just really grateful to my Audible Free Trial, and Audible in general, because I can participate in this book club thanks to them. If the book wasn't available in audio format, I wouldn't be able to read it. It is just to hard on me. I'll let you know what I think about the book as it goes. If you would like to get an Audible coupon, just click the link. For more information just go to http://www.audible-free.livejournal.com. 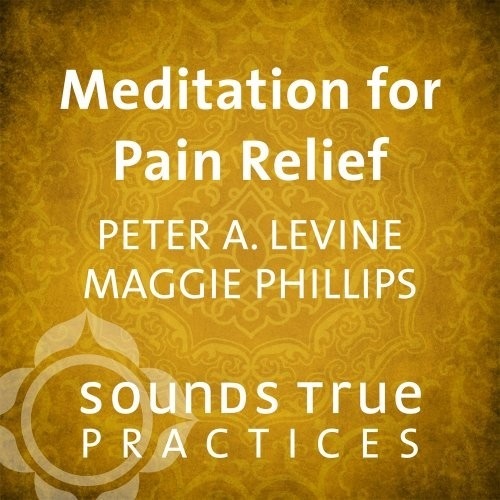 This is my review for Mediation for Pain Relief which I was able to listen to thanks to my Audible coupon. I have to be honest with you. This program is terrible. I mean, absolutely awful. It is only 30 minutes long and it was neither informative, or a guided imagery. I will say this, I did fall asleep to it, but not in a good way. I absolutely do not recommend that you listen to this book. Quite frankly, it's horrible that this Levine and Phillips took advantage of people in chronic pain. They have enough going on in their lives than to add to it a bunch of charlatans trying to make money off of other people's misfortune. Do not use your credits for this book. Do not sign up for the Audible Free Trial and use this book as your first free book. Just don't. To learn more about Audible, go to http://www.audible-free.livejournal.com. I have chronic back pain that is terrible. It is an all-consuming type of thing. I wake up with it, I go to bed with it. It is constant. I have to lay down a lot during my day just to be able to somewhat function. Lately, I have been reading a lot of articles about how to help combat my chronic pain. What a lot of them say is to do mindful meditation. This is usually in conjunction with a functional restoration program. I found a functional restoration program that wanted 6 hours a day for 5 days a week. Jeez. If i could do anything for 6 hours a day, I wouldn't be in this mess. However, I did think that it would be a good idea to try the meditation portion of the program. Therefore, I went to the Audible store, and with my Audible coupon, I picked up 2 meditation books. I'm really looking forward to seeing if they have any effect on my pain. It is supposed to help you relax, and decreased stress is supposed to help with reducing pain under the premise that stress increases your pain. There was a lot of talk in the articles I read that meditation will also help reroute all my failing neural connections in my brain that is having an over response to normal stimuli and telling me that it is pain. I hope these books help. I'll let you know how it goes. If you are interested in an Audible Free Trial so that you can test out the waters of audiobooks, by all means, click the link. I'm extremely please with the service, and I think you will be too. For more information please take a look at http://www.audible-free.livejournal.com. Thanks to signing up for an Audible Free Trial, I was turned onto Audible. Now I love listening to audiobooks. I can get lost in them while still being able to participate in other activities. The book I am currently listening to is The Night Circus. My sister-in-law recommended it to me. I looked it up on Audible, and sure enough, it was there. Since I had a free coin, thanks to my Audible coupon, I downloaded it without knowing anything about it. I must admit, I'm a huge fan of Something Wicked This Way Comes. Therefore, I keep thinking that it is going to be like that book. However, it's not. So far, the mystery of the book is more of a mystery to me since I didn't even read a summary on it. All I know at this point is that there is some kind of bet going on and even though the participants know they are involved, they don't know what the game or bet is. I've listened to probably a few hours of the book so far and there doesn't seem to be any progress on this front. I'll check back in in a week and let you know how the book comes along at it's midpoint. I gotta say, so far, it's not keeping my attention. Finally my review of The Champion thanks to my Audible Free Trial. I absolutely loved it. It was so good. It really felt like I picked up right where they left off. All the characters were just as vivid as they always were -- kuddos to author Sigler for making a great transition. Quentin was his typical self and Becca this time proved to be quite annoying, which just proves that Scott Sigler toys with our heart strings. John Tweedy was the most surprising, and I found myself having a new-found respect for him. My only caveat would be if Scott Sigler is reading this more of Denver next time! I lovelovelove her! If you are thinking about listening to this book, please do. You will be so happy that you did. if you are worried, like I would be, that this is book number 5 in a series, don't. It is well worth the investment. I read it and am already dreaming of a sixth installment. Plus, if you use our Audible coupon you can get the first book for free, or The Champion, either way, it's worth it! I love listening to Scott Sigler's books. He has such a knack for storytelling. The way he lets a book unfold. It's seamless. The characters are great. The use of his voice is great. So far, The Champion is on par with the rest of his books. Listening to this book, thanks to an Audible coupon, feels like coming home. Kind of like when you move away from home after college, and even though you haven't seen your friend in forever -- you just seem to pick up right where you left off. It;s the same way with the characters from Scott's novels. I feel like no time has passed since last seeing Quentin and Becca. I'm also loving hearing Scott's voice again. He did not narrate the final book in the Infection series, Pandemic, and I did not realize how much I missed his voice. Well, I knew I missed hearing it on Pandemic, but boy, I guess I didn't know how much. I'm only a few chapters in, but the action has already started. The characters are behaving in their old ways, which is a nice way to feel about the characters. Quentin is naive as ever. John Tweedy is still by his side, and Becca is still longing for her man. Quentin still doesn't understand the scope of his reach, and people are still always after him. So far, so good everyone. To learn more about Audible, and why I love it so much, check out http://www.audible-free.livejournal.com.